Three decades have passed since the commercial barter industry�s first convention. So it�s good to see the evidence that some within the industry are looking to take advantage of the considerable efforts employed by IRTA (International Reciprocal Trade Association), getting industry executives from around the globe together in one location at their yearly Barter Congress. In Pittsburgh this fall, IRTA�s annual convention will be held October 28-30. The day prior, Green Apple Barter will stage its Annual Trade Show, enabling all of the IRTA attendees to attend, buy, and sell using the industry�s Universal Currency. This is an industry first and predictably it won�t be the last, as it promises to add further value to the convention. 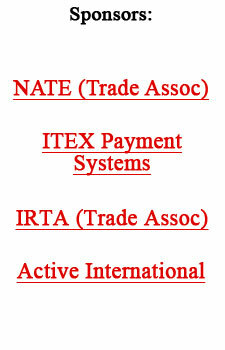 An industry software vendor is astutely piggy-backing the IRTA Congress too! Barter 21�s management realizes the considerable benefit of utilizing the annual convention for holding both a needed training session and a peer-interaction time for all exchange owners. Working with IRTA, they�ve obtained meeting space for their specific sessions. Thus not only averting the need to schedule the sessions at another time, but also saving considerable traveling time and money in the process. When you�ve got it, use it! That�s the bottomline message in the Wal-Mart and Green Dot business arrangement. A few years ago, when Green Dot was trying to get established, they worked out an agreement with giant distributor Wal-Mart, naming Green Dot the exclusive provider of the reloadable prepaid debit-card sold at Wal-Mart since its MoneyCard program was initiated in 2007. In exchange for the exclusive business agreement, Green Dot granted Wal-Mart 2,208,552 shares of it�s stock (5.5% of the outstanding shares) which recently went public July 22. Green Dot (NYSE:GDOT) closed at $43 making the valuation of Wal-Mart�s shares worth around $86 million. Green Dot retains a right to repurchase (less 37,000 shares per month) if the commercial agreement between the two is terminated ... or until May 2015, when no shares will be left to repurchase. In Green Dot�s most recent quarter, sales at Wal-Mart represented 63% of Green Dot�s� total operating revenue. The International Olympic Committee (IOC) has newly signed the Dow Chemical Company to a 10-year multimillion-dollar global sponsor deal, IOC president Jacques Rogge reported recently. Dow chief executive Andrew Liveris said his company had been involved with the IOC for 30 years and supplied products for this year�s Vancouver Games but the sponsorship deal would allow them to more clearly associate their products with the Olympics. Dow is the first new major sponsor to join the IOC�s top sponsorship program in nearly three years, and the 10th overall. The previous nine sponsors were worth a combined $883 million to the IOC. While the committee does not release the financial details, most major companies pay about $100 million in cash and in-kind services to become top sponsors over a four-year period. The other top sponsors confirmed for the London Olympics are Coca-Cola, Acer, Atos Origin, General Electric, McDonald�s, Omega, Panasonic, Samsung and Visa. Atos Origin, Panasonic, and Samsung have extended their partnerships until Rio de Janeiro (2014) while Coca-Cola, Visa, and Omega have extended their deals with the IOC until the 2020 Games. The bidding process for 2020 has not begun yet, but the host city will be decided in 2013. Reichmann Opts For Secondary Capital ... In Lieu Of $25 Million Contract! Canadian real estate developer, Paul Reichmann, who was nearly ruined when his Toronto-based Olympia & York Developers was hit by the recession in the early 1990s, has made an impressive comeback. His multi-billion-dollar London development, Canary Wharf, is on track again � after he and some other investors bought the development back from the banks that had foreclosed on it. Proving, in this case, that secondary capital is more valuable than cash. Reichmann is obviously making a big bet on where the share price of the stock is going.